Organized for the public by the Athens Hub ambassador of Thousand Network (https://thousandnetwork.com/) Alexandros Pagidas. On 19 & 20 March there was an inspiring public conference ‘Unconditional Basic Income as a Response to Inequalities in Europe’ in Maribor, Slovenia which attracted over 80 participants from 17 countries. Over the following two days Unconditional Basic Income Europe met to agree a common strategy to expand the European movement for basic income and get concrete results by 2020. Unconditional Basic Income Europe, which was born from after the European Citizens Initiative for Unconditional Basic Income in 2013, celebrated its foundation last year at a major conference in Brussels. Since then, we have been busy getting UBI-Europe officially registered as a non-profit association under Belgian law and consolidating our membership. In the meantime, the movement kept growing through our network of national-level organisations where most of our activists have been focusing their energy. It was time to get together again and discuss our common vision for Europe and shape a strategy to achieve our goals. Such was the purpose of our meeting in Maribor, Slovenia this March. Such a step could be achieved by the introduction of a partial basic income scheme as outlined in the Eurodividend proposal elaborated by prominent UBI advocate Philippe van Parijs, or through alternative proposals like a basic income for children. Whatever they might be, the meeting agreed that any such first steps should not harm current social protection systems and degrade the situation of the majority, and especially not the poorest. On the contrary they should improve social protection systems and contribute to reducing social inequalities within countries, and within the European Union. Several projects contributing to these aims were discussed at the meeting in Maribor. We are in the process of elaborating a more detailed action plan. Our next steps will be unveiled as we are working on them. UBI-Europe is aware, that the crisis management of the EU and their austerity policy is a severe obstacle for UBI. So we are part of the struggles to overcome them. This is why UBI-Europe has decided to join the Stop-TTIP campaign. “The TTIP agreement is a danger for social standards in the EU. The EU must address its own humanitarian, social and economic governance problems before further opening up its trade. By giving multinational corporations the right to overturn decisions by European governments it also hinders attempts to make Europe more democratic,“ said Klaus Sambor, co-founder of UBI-Europe and member of ATTAC Austria. In order to get the EU to move towards new radical solutions such as basic income, UBI-Europe also acknowledge the need for more democratic institutions in the EU. One of the key pillars for a better European Union should be a significant improvement of the European Citizens’ Initiative (ECI) instrument. “Our own experience with organising one of the first ECIs shows the ECI is not yet citizen-friendly and suffers from many unnecessary obstacles, especially the data requirements. This is why we fully support the ECI Campaign in its effort to reform the ECI. Their proposals are completely reasonable and are sorely needed to avoid the ECI being abandoned by civil society.” said Stanislas Jourdan, former coordinator for the ECI for Unconditional Basic Income which collected 300,000 signatures in 2013. If you want to join our efforts to make UBI a reality in Europe, signup as a supporter here and watch for upcoming announcements. Donations would be warmly appreciated in order to keep us running and facilitate the organisation of our upcoming projects! In fact, if every of our 40,000 supporters donate 5 euros, we would be able to fund all UBI-Europe’s activities for the coming year and more. Is Greece closer to a Basic Income Scheme? This reference is in the context of facing the humanitarian crises and the reform of the welfare policy for certain ages pention. The letter also refers to the evaluation and extention of the Minimum Guranteed Income scheme that already exists. We invite you to participate with UBIE (Universal Basic Income Europe) in a day of talks, brainstorming and planning about the future of emancipation in Europe and beyond. UBIE is a network of organisations and individuals from 25 European countries who have different cultures and languages, but a common view that an Unconditional Basic Income is a sustainable and long term solution for our societies. We work together to promote the idea of an unconditional basic income until we get its implementation everywhere in Europe, and its recognition as a universal human right. 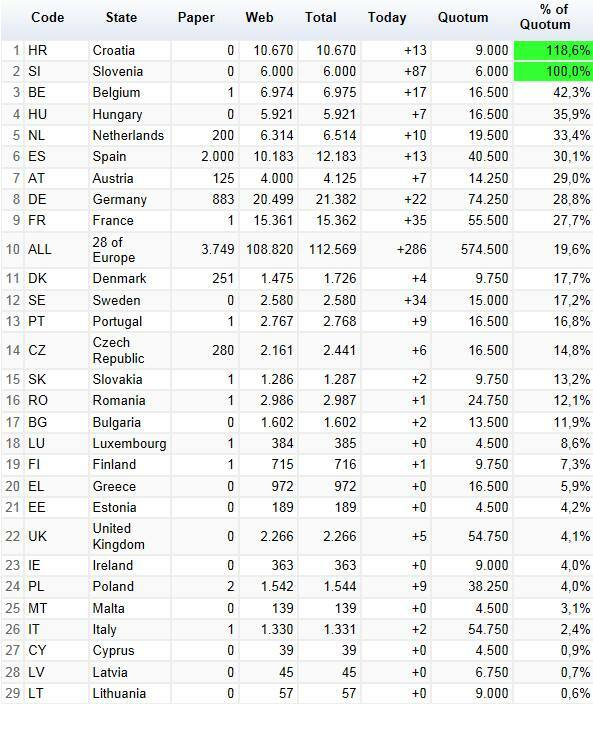 Unconditional Basic Income is not a very well-known in Greece. The crisis, huge unemployment and media propaganda create desperate and very often hypnotized citizens. In a country where finding a job with a salary of 400 euro per month sounds like a BLESSING, basic income may not seem like a priority. But it is in this environment, where there is now a great need for the implementation of Unconditional Basic Income. Austerity, unemployment, poverty, [widening inequalities of wealth, education and access to meaningful employment] and the lack of democracy are red warning signals that Europe needs basic income more than ever before. This conference will be a unique opportunity to attract a wider audience (the Precariat audience) so that more people will know and understand the concept and the importance of basic income for their lives and our society. – UBI as tool for overcoming poverty, – UBI as condition for social and political participation, – UBI facilitating innovations in the larger context of social, economic, ecological and cultural development, – UBI as subject of research and experimentation. 4. 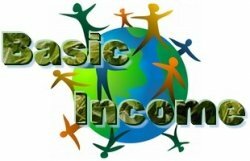 Website, WWW.BASICINCOME2013.EU to be developed as a platform of participation, exchange and dissemination of results. Feb 26th/28th 2016 / Germany. Human right to fight for the existence of the self! The group is called: Action Research. In our cross-disciplinary group during the workshop we will take up the social challenge of the human right to fight for the self and reflect on your experience. We will help each other to translate our knowledge into impactful projects. UBI the route towards a new era of humanity – advice to legislators from an experienced expert. Jouko equates the right to Unconditional Basic Income with constitutional rights and examines its possibilities to remedy social ills and exclusion. This workshop will explore some of the key principles behind the idea of an unconditional basic income through imagination and reflection. 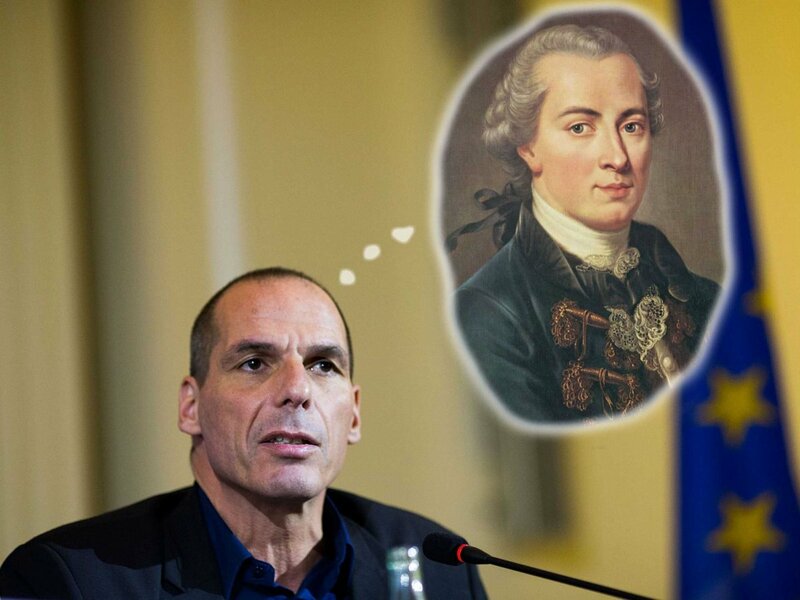 Why does he support Basic Income and why Basic Income is important for Greece? Manos Matsaganis is an associate professor at Athens University of Economics and Business, and a member of BIEN. "Crisis and the Precariat: Why the new dangerous class needs a basic income"
Greece is at the forefront of the crisis of globalisation, which has produced a new class, the precariat, consisting of millions of people living and labouring in chronic insecurity, with volatile and falling real incomes. This presentation will define the emerging class structure, explain why the precariat is the new dangerous class and why a basic income is vital if the precariat is to obtain basic security, if the rising inequalities are to be reversed and if chaotic social strife is to be avoided. Economist and professor of Development Studies at the School of Oriental and African Studies (SOAS),University of London, Guy Standing is a co-founder of the Basic Income Earth Network(BIEN). He has written widely about labour economics, labour market policy, unemployment, labour market flexibility, structural adjustment policies and social protection. His recent work has focused on the emerging precariat class ("The Precariat" 2012 "A Precariat Charter, From Denizens to Citizens" 2014) and the need to move towards unconditional basic income and deliberative democracy. Karl Widerquist is a Visiting Associate Professor at Georgetown University School of Foreign Service in Qatar. He holds a Ph.D. in Political Theory from Oxford University and a Ph.D. in Economics from the City University of New York. He is coauthor of Economics for Social Workers and coeditor of the Ethics and Economics of the Basic Income Guarantee. He has contributed to journals such as Politics, Philosophy, and Economics; Political Studies; and the Eastern Economic Journal. -Stanislas Jourdan, Mediactivist and member of the French movement for Basic Income. Why do they support Basic Income? He collaborates with Spain’s Basic Income Network and has developed several studies on the feasibility of a Basic Income in Catalonia and Basque Country. Diploma from the General Management Program of the IESE at the Universidad de Navarra. Why do the Greens support Basic Income? Why do the Pirates support Basic Income? After the end of the conference, on Friday the 26th of September, we organised an event for all of you. We are going to walk into the 'underground', offtrack neighborhoods of the city and see the places that tourists never visit. Then, we are going to have dinner at a traditional taverna with great Greek food (price per person around 12 euro). So, get ready to experience the real face of Athens! To register for the event, send an email with your name with the subject “UBIE Athens Registration” to info@www.basicincome.gr. Final sprint for Basic Income. 24 MEPs call for support for the EU Citizens Initiative for Unconditional Basic Income! On the 28th of November, 24 members of the European Parliament from 11 different European Countries issued a joint statement (pdf) expressing their support for the European Citizen’s Initiative (ECI) for Unconditional Basic Income. This calls upon the European Commission to assess the idea of reforming current national social security arrangements towards an unconditional basic income (UBI). UBI is a regular, universal payment to everyone without means-testing or work conditions. It should be high enough to guarantee everyone a dignified existence. It would let people make choices about what to do in life without fear of poverty. It would act as a cushion for the increasing numbers of people who have short-term or zero-hour contracts, and those starting up their own businesses. Many financing schemes have been elaborated over the years in several countries. The European Initiative for UBI is asking for further studies to be started at the EU level. The MEPs ask all Europeans to support this initiative. All EU citizens eligible to vote can support this ECI either via the internet (http://sign.basicincome2013.eu) or on paper. One million signatures are needed by 14 January 2014 to make sure it lands on the EC’s desk. The current social security systems are demeaning and inadequate in addressing the roots of poverty, the MEPs emphasize. “Unconditional Basic Income would transform social security from a compensatory system into an emancipatory system, one that trusts people to make their own decisions, and does not stigmatise them for their circumstances,” the statement says. They also said this new form of social security is far simpler than existing (often chaotic and burdensome) systems, would help balance income disparities and could help mitigate the social and racial tensions caused by economic migration. [update 29/11] Olga SEHNALOVÁ, Keith TAYLOR, Bart STAES and Yves COCHET also brought their support. A basic income can help you do other work and reconsider old choices: It will enable you to retrain, safe in the knowledge that you’ll have enough money to maintain a decent standard of living while you do. It will therefore help each of us to decide what it is we truly want to do. With the insurance of having unconditional basic income as a safety net, workers can challenge their employers if they find their conditions of work unfair or degrading. Because a basic income scheme is one of the most simple tax / benefits models, it will reduce all the bureaucracy surrounding the welfare state thus making it less complex and costly, while being fairer and more emancipatory. As an extension of (3), benefit fraud will vanish as a possibility because no one needs to commit fraud to get a basic income: it is granted automatically. Moreover, an unconditional basic income will fix the threshold and poverty trap effects induced by the current means-tested schemes. A basic income is also a means for sharing out the wealth produced by a society to all people thereby reducing the growing inequalities across the world. Most existing means-tested anti-poverty schemes exclude people because of their complexity, or because people don’t even know how to apply or whether they qualify. With a basic income, people currently excluded from benefit allowances will automatically have their rights guaranteed. With a basic income, people will have the option to reduce their working hours without sacrificing their income. They will therefore be able to spend more time doing other things they find meaningful. At the macroeconomic level, this will induce a better distribution of jobs because people reducing their hours will increase the jobs opportunities for those currently excluded from the labor market. A huge number of unpaid activities are currently not recognized as economic contributions. Yet, our economy increasingly relies on these free contributions (think about wikipedia as well as the work parents do). A Basic Income would recognise and reward theses activities. With a minimum level of security guaranteed to all citizens and less time in work or worrying about work, innovation in political, social, economic and technological terms would be a made more lively part of everyday life and its concerns. Thanks to massive advancements in our technological and productive capacities the world of work is changing. Yet most of our wealth and technology is as a consequence of our ‘standing on the shoulders of giants’: We are wealthier not as a result of our own efforts and merits but those of our ancestors. Basic income is a way to civilize and redistribute the advantages of that on-going advancement. Because we live in a world where we have the means (and one hopes, the will) to end the kinds of suffering we see as a supposedly constant feature of our surroundings. Basic income is a way to join together the means and the will. Slovenia has become the second country to reach the target. With less than 90 days remaining, Slovenia has become the second coutnry to reach the target. Our congratulations. We go on to get 1 million signatures. We are now at critical mass and every day more people learn about the initiative. Beyond social divisions, corporations and doctrines, we, the signatories of the present call, express our will to contribute to a realistic and constructive transformation of our society: basic income. Basic income shouldn’t be confused with a minimum income, liek it currently exists in countries like UK, or France’s RMI or RSA, and other conditionally allocated allowances. Basic income is by essence, automatic, unconditional, universal and unalienable. Everybody, rich or poor gets it, without even asking for it. It is granted to each individual, from birth to death. Its amount should be enough to guarantee each and everyone a decent living – whatever happens -. It is cumulative with other sources of income (wages or other). It shan’t be withdrawn from the poorest, but the richest will pay taxes on it. Basic income won’t reward employment, but redefine work in a wider significance. Neither employment, nor capital income, nor conventional social aid can henceforth claim to guarantee the right to existence of each individual as defined in Article III of the Universal Declaration of Human Rights. The fact is: due to computerization and automation of production, full employment can not be reached anymore. On the other hand work is still relevant, and its task is huge. More than ever, it is necessary for each of us to work. First of all, work to take care of ourselves, of our parents, our children and our family, then work to contribute to the common wealth available to all (knowledge, art, culture, software, etc.) and finally work to invent and implement, at all levels, the means that will bequeath a liveable planet to future generations. Far from encouraging idleness, we claim that a basic income will, in the extent of their capabilities and their desire, engage each one serenely, freely and responsibly in an essential activity for the general interest where traditional jobs are not intended to do so. How to finance the basic income? First, one idea to finance basic income is to use all means and resources currently allocated to the pursuit of full employment — and the handling of the failure of these policies. Second, the introduction of basic income will require to reconsider our fiscal and social systems, and probably to regain control over the process of money creation they had surrendered to private banks. Economists have thought about the question in depth and have made the demonstration that it is definitely possible. There is no need to wait for a disaster to start considering this profound transformation. It can be done smoothly and without damage, provided the awareness and commitment is strong and massive. It is to this commitment that, we, signatories of this call want to tend. What do we have to lose? Along with the crisis, the illusion of duly paid employment vanished. The habit to define oneself according to a professional activity will certainly disappear for many people as well. Our proposal is not a panacea: the introduction of basic income will induce ever more questions about our identity, our role in society, our aspiration to procreate in regard with demographic problems, about the quality of the legacy we want to give to our children. Basic income does not go without deeply questioning many habits. We nevertheless believe that this shift of consciousness and behaviour can be accomplished without violence, and in a spirit of mutual help to each other in order to develop a new culture of responsibility. What do we have to gain? The introduction of the basic income challenges the meaning of “work” as usually understood, namely as the basis of capital and social relations. As we know, reducing “work” to the mere “employment” has the effect of automatically excluding the unemployed, because it induces fear of unemployment among workers and social control of helped people. This confusion between “work” and “employment” has a huge cost for our societies, both financially and socially. The psychological and social pathologies that result are simply not sustainable. We do not expect basic income will settle all problems, but it is absolutely necessary to overcome the current crisis of mistrust by reducing the intolerable level of poverty, exclusion and fear. At a time when media daily announce the imminence of disasters due to the breakdown of economies, climat change or pandemics, we claim there is a way to face these issues collectively and to gather the driving forces : this is the path of the unconditional basic income. We, citizens from various background who have signed this appeal, are asking policians from all horizons, labor unions and experts in Greece and around the world, to consider this option in the shortest term to initiate this big transformation with us. How is Basic Income defined? Basic Income in cash, rather than in-kind? Is Basic Income paid on a regular basis, rather than as a one-off endowment? Is Basic Income restricted to the Nation-state? Should a Basic Income be paid to non-citizens? Should a Basic Income be paid to children? Should a Basic Income be paid to pensioners? Should a Basic Income be paid to inmates? Does Basic Income imply uniform levels of benefit? Is Basic Income paid irrespective of income? Does Basic Income make the rich richer? Is it better for the poor to give to the rich? Does Basic Income make work pay? Is a Basic Income equivalent to a negative income tax? Is Basic Income cheaper than negative income tax? Should Basic Income be paid irrespective of present work performance? Should Basic Income be paid irrespective of willingness to work? Are means-unconditionality and work-unconditionality linked? How does Basic Income activate while liberating? Is a Basic Income affordable? Is Basic Income more expensive because work-unconditional? Is there a dilemma in “Job seeker’s allowance” versus “state-sponsored workfare”? Is “giving to the lazy” cheaper? Is Basic Income more expensive because income-unconditional? Is “giving to the rich” cheaper? Is Basic Income more expensive because it creates work incentives at the bottom ? Is it better for the poor that the poor be taxed more? Should we prefer a low earners’ overcharge or a partial basic income? Is Basic Income more expensive because strictly individual? Should a Basic Income be inadequate rather than household-based? What role for an individual tax credit? What role for a household-based regressive negative income tax? What role for a modest participation income?